Reed Bunting on allotments….for how much longer? Vivien Crump sent in a nice picture of a female Reed Bunting (Emberiza schoeniclus), taken on the RBRGHA allotment site in Wollaton…. Unfortunately the controversial development of the site is imminent, and some of the plots are now being cleared. 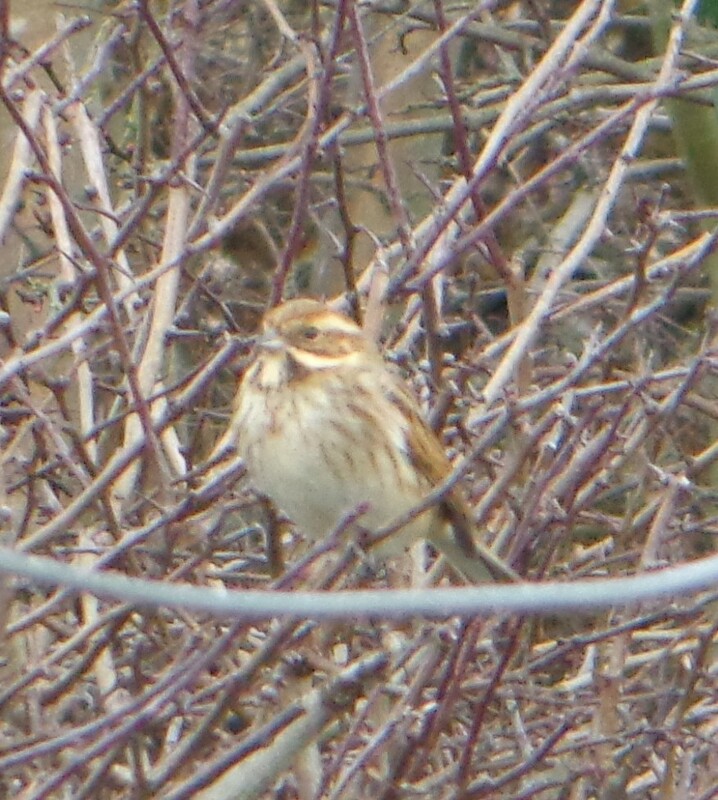 How much longer will the site provide shelter for the Reed Bunting? 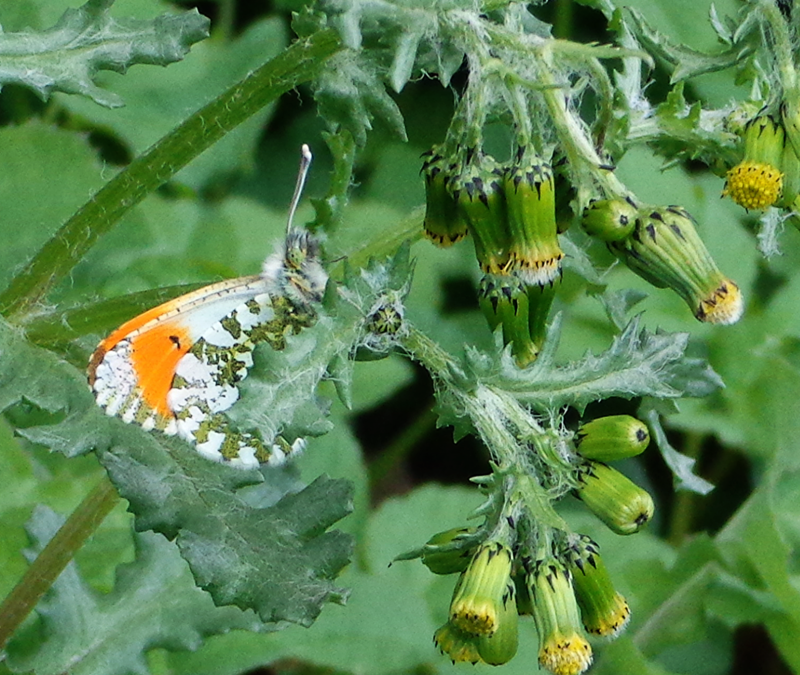 Thanks to Vivien Crump, who sent in this fine photo of an Orange Tip butterfly (Anthocharis cardamines), resting on a Groundsel plant…. 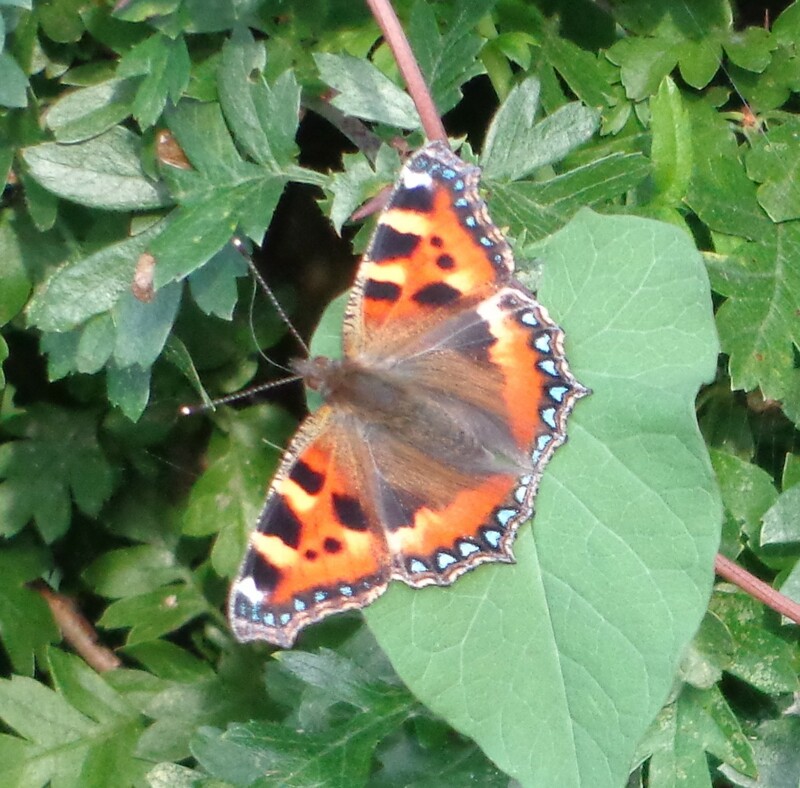 The butterfly was photographed on the Radford Bridge Road Allotments in Wollaton. As she says, it doesn’t sound good – either for gardeners or for the wildlife found on this threatened site. Birds feeding – but given notice to quit…. 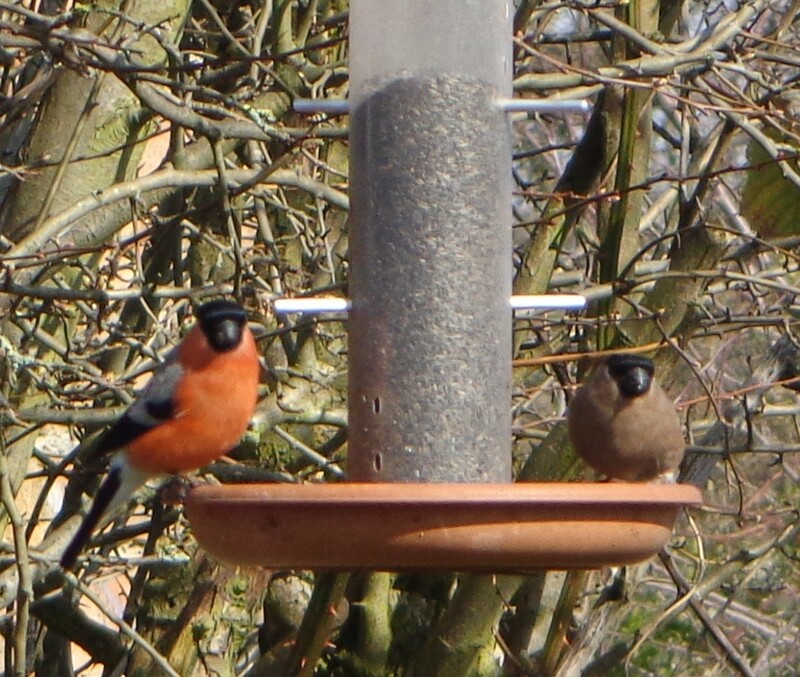 Thanks to Vivien Crump, who sent some pictures of birds using feeders on the Radford Bridge Road Allotments in Wollaton…. 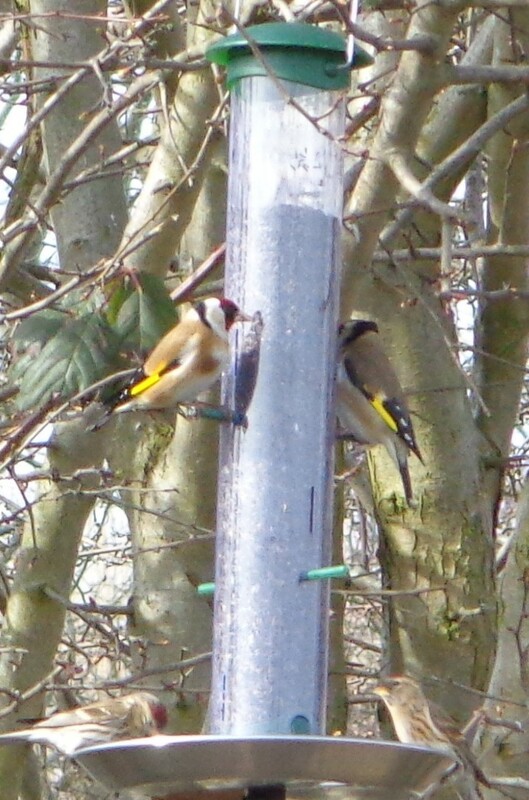 …..Goldfinches (Carduelis carduelis) and Lesser Redpolls (Carduelis cabaret)…. Unfortunately, this could well be the last year these birds will be able to use these feeders on the allotments, which are threatened by a controversial development plan. Gardeners were recently given a legal notice to quit, and so must vacate by April next year. 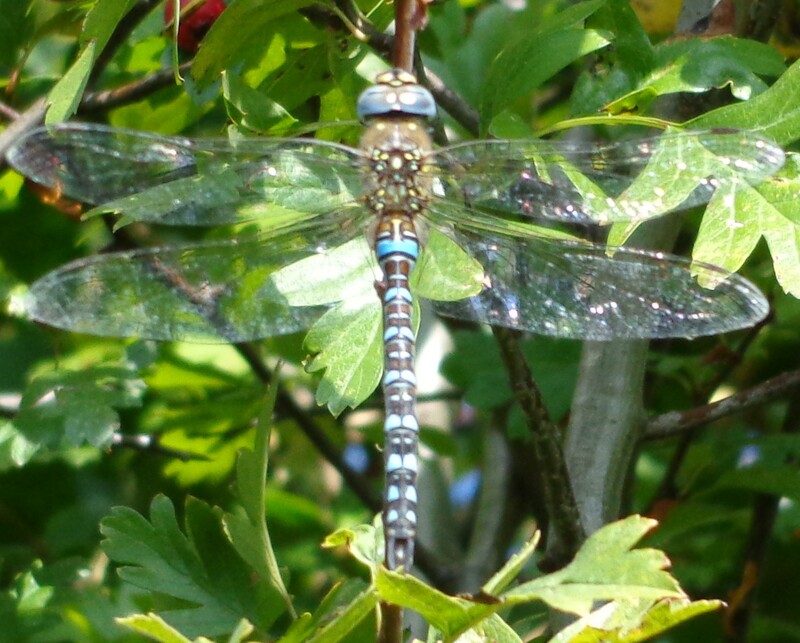 Sadly it seems that the days of this wildlife-rich old allotment site are numbered. Forest Fields : new supermarket, or new green space? Some buildings were knocked down in Forest Fields earlier this year, in connection with a proposed development for a supermarket with residential flats above and accompanying car park. The plans have long been controversial, with many in the area opposed to them, and the site has not been touched since it was levelled and fenced off. 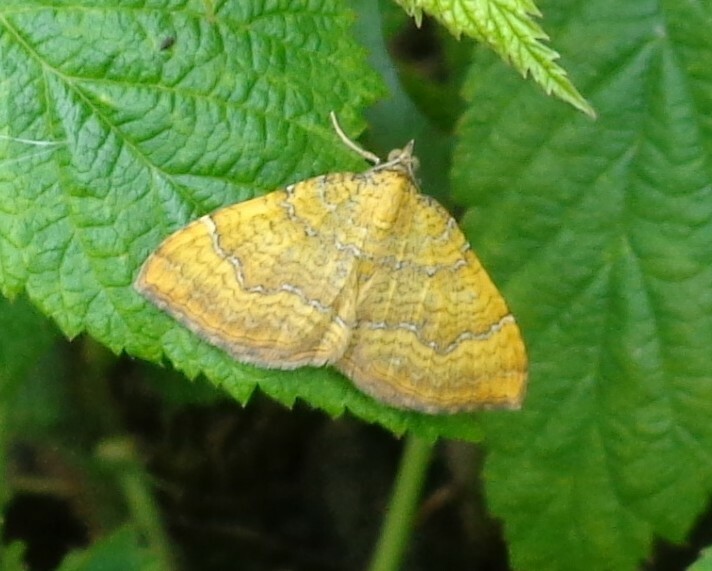 In the meantime, the site (consisting mostly of brick rubble and churned-up dust and soil) has started to be colonised by a variety of plants, both wild and garden escapes….. I counted at least 20 different plant species that could be easily identified from the other side of the fence. It made me imagine possibilities for the site beyond what is proposed. I’m not sure that Forest Fields needs more shops, and although new homes are always needed, two good-sized semi-detached houses, in seemingly good condition, were demolished to clear the site (the remainder of the site was an old garage and workshop). What is very lacking in Forest Fields, despite the rustic-sounding name, is green space. Although the Forest Recreation Ground is nearby, the area itself is characterised by dense terraced housing, with no green open spaces to speak of. Imagine if this cleared site was turned into a small, open park to create green space for both local residents and wildlife….that sounds much better than a supermarket to me. 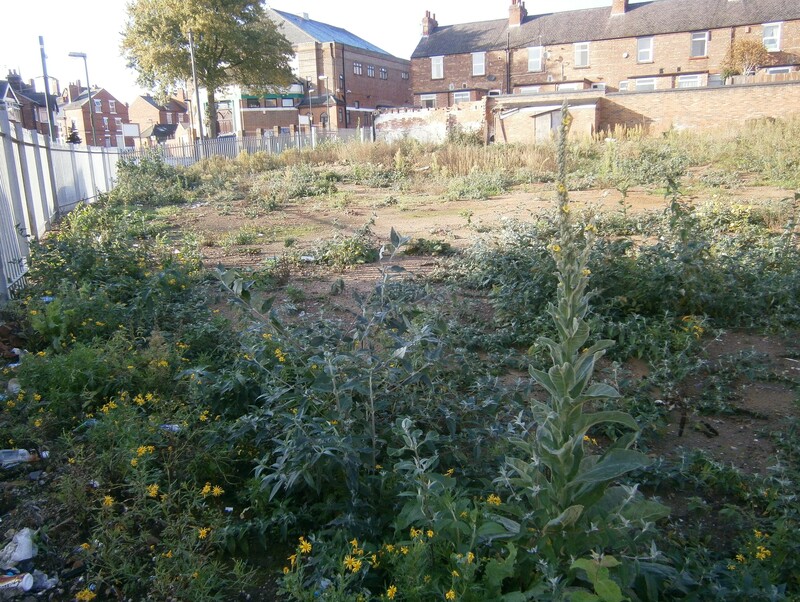 A group of gardeners who rent allotments on the threatened Radford Bridge Road Allotments in Wollaton have launched a new website – Before The Bulldozer. 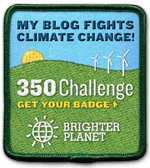 The website is well worth a look. 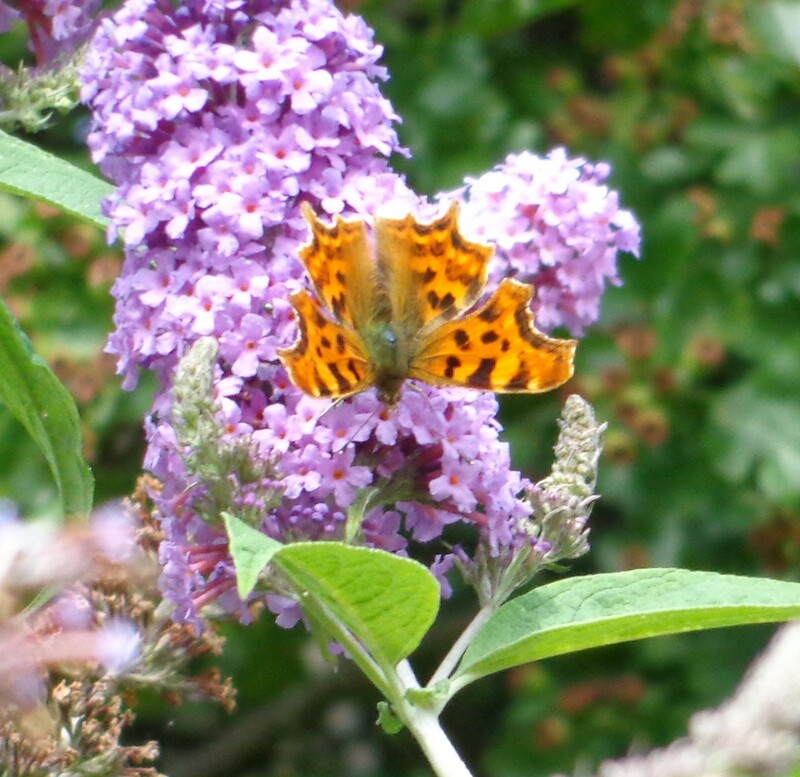 It is a comprehensive record of the allotment site, including its landscape, biodiversity, and history, as it is before “the sweeping changes that are planned”…..
Here’s some pictures of butterflies on the Radford Bridge Road Allotments in Wollaton….. 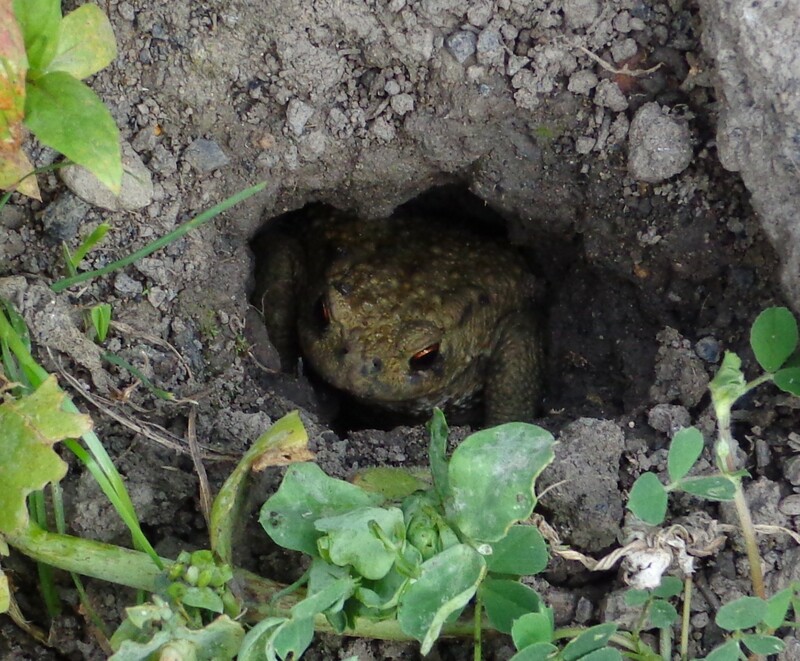 Thanks to allotment holder Sue Marshall for sending in these photos of this sadly threatened site.